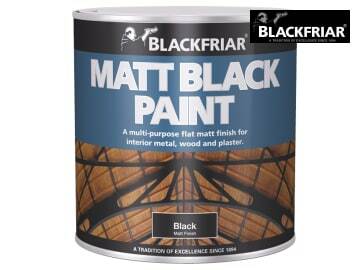 Blackfriar Matt Black Paint is perfect if you need a dead black matt surface. 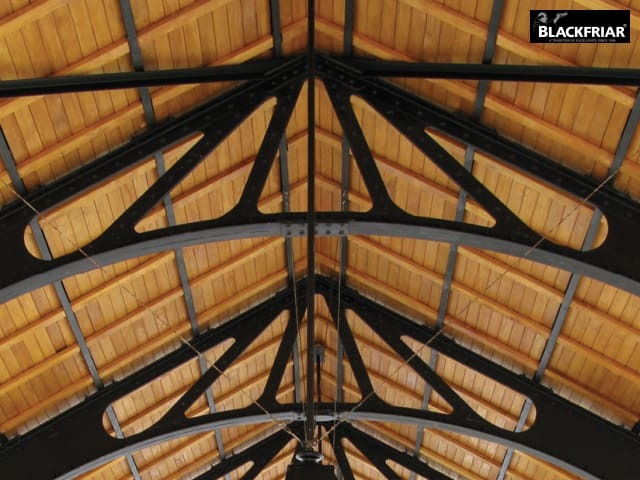 Its non-reflective finish makes it ideal for all interior surfaces such as old beams, panelling, decorative ironwork, stage scenery and darkrooms. 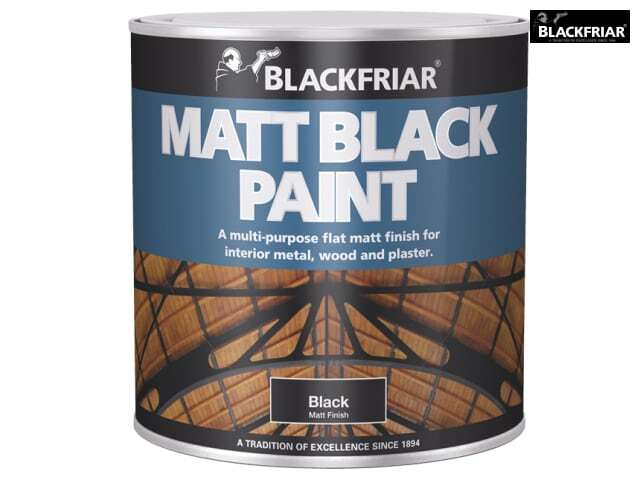 It can be used on wood and metal. Application method: brush, roller and spray.